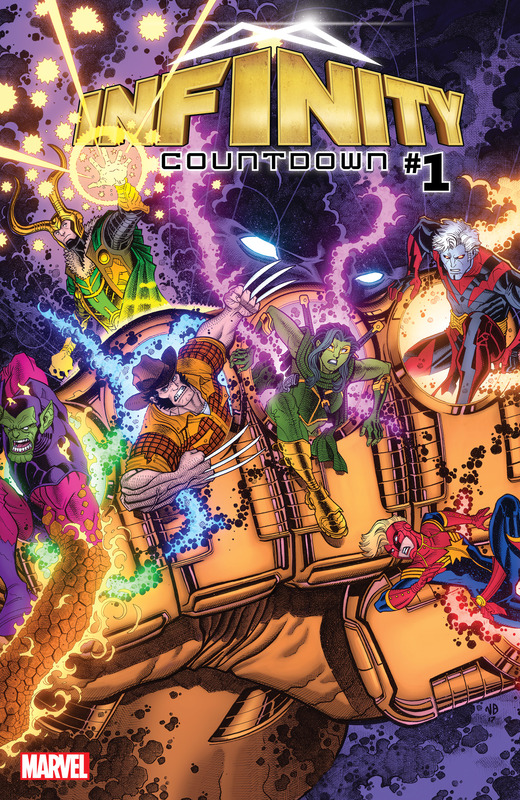 With a CRASH and a BANG, the cosmic strike of the Countdown begins as the greatest epic in the history of the Infinity Stones explodes onto the pages of INFINITY COUNTDOWN! And it’s a beginning so huge, it can only be told in one sweeping, mind-bending tale. This March, Gerry Duggan (All-New Guardians of the Galaxy) and Aaron Kuder (All-New Guardians of the Galaxy) are bringing you a spectacular, huge Infinity tale that will lead to an even greater story – and one that will impact the entire Marvel Universe! The Infinity Stones, thought to be lost forever, have suddenly reappeared — bringing with them the ultimate power for good and evil. Three stones have fallen into the hands of the mightiest heroes in the galaxy…but where are the rest? 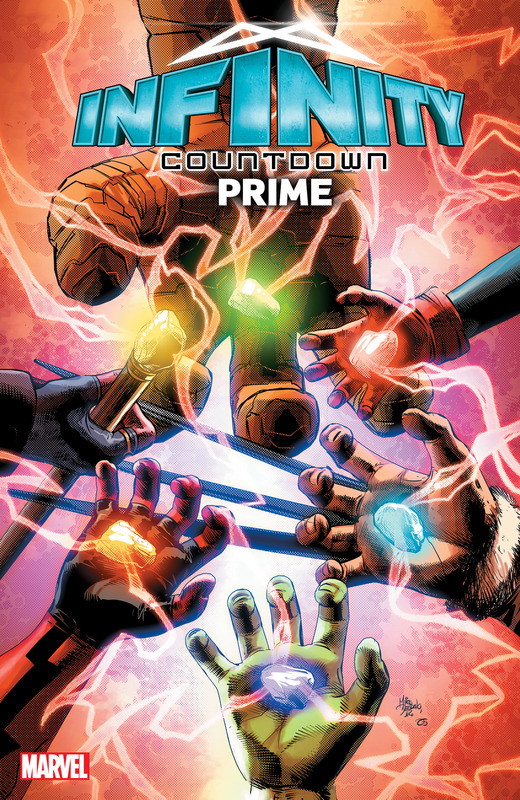 As the hunt for the stones begins, a new weapon of unimaginable power is being forged…and it’s a weapon like nothing the universe has ever seen! What is its purpose? And who – or what – is the destructive force that will be unleashed on the world? The race for power in the post Secret Wars universe has begun, and its search will impact every Marvel character from the street to the cosmos, from the Avengers to Spider-Man to the X-Men, even bringing about the end of the Guardians of the Galaxy! First, this February, prepare for the upcoming epic with INFINITY COUNTDOWN PRIME #1 written by Duggan with art by Mike Deodato, an action-filled 48-page epic that reveals the location of all six stones as the countdown begins…plus, a prose primer that details the saga of the Infinity Stones, and how they came to be in the Marvel Universe! And be prepared for the Guardians of the Galaxy to disassemble!